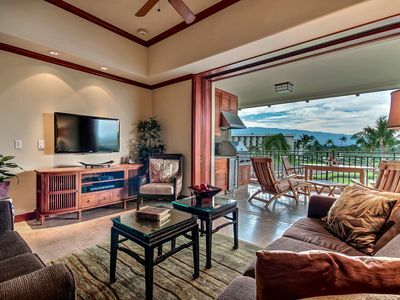 This luxury villa in the Mauna Lani Resort is a terrific alternative to a luxury hotel room. 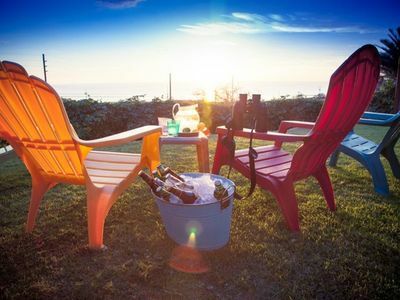 You will have all the amenities of a luxury oceanfront resort, with a full kitchen and lower price. 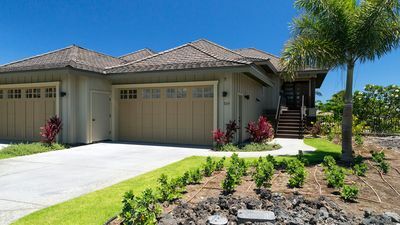 Only minutes (drive or walk) to a pristine, private, Owner's only beach uniquely beautiful, even for Hawaii. 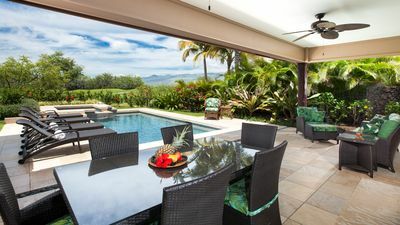 Celebrate in the relaxed luxury provided at this island style, designer-decorated villa with egyptian cotton sheets, plush towels, and many other luxurious amenities to make your stay special on the Kohala Coast . 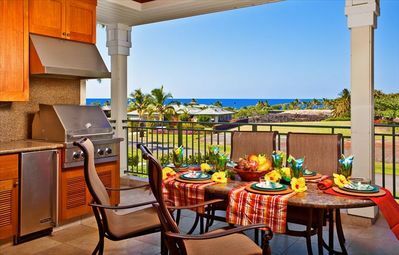 Fully equipped stainless steel gourmet kitchen, including an outdoor kitchen with gas grill and wet bar. 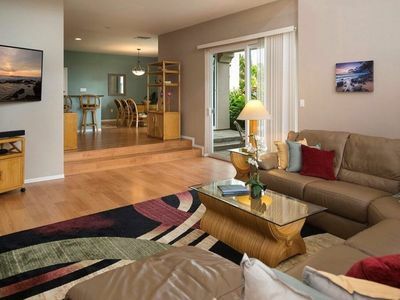 Living room features 46 inch HiDef flat screen with surround-sound. 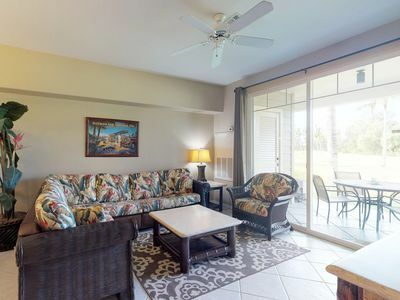 All bedrooms feature the latest electronics, including HiDef flat-screen televisions. 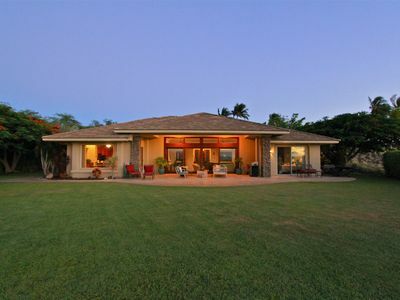 Located on the beautiful Kohala Coast, this is a golfer's, snorkeling and beachcomber's paradise. 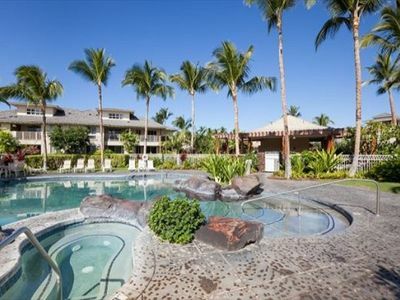 Pamper yourself at the Mauna Lani Spa. 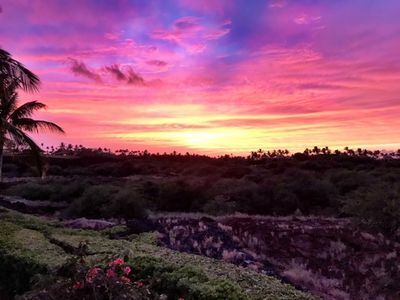 Shop and be entertained at the new chic Shops at Mauna Lani where you can dine at Ruth's Chris and then take in a sunset while sipping on a mai tai at Tommy Bahama's Tropical Cafe. 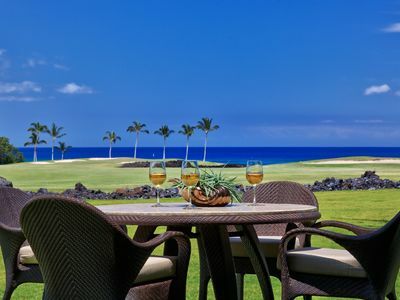 Nearby are the King's Shops and the brand new Queen's Marketplace at Waikoloa Beach Resort with Tiffany & Co., Louis Vuitton, Macy's, Maui Divers, Na Hoku, Baron & Leeds, Haimoff & Haimoff, as well as Roy's Waikoloa Bar & Grill. Try the new Lava Lava for sunsets. 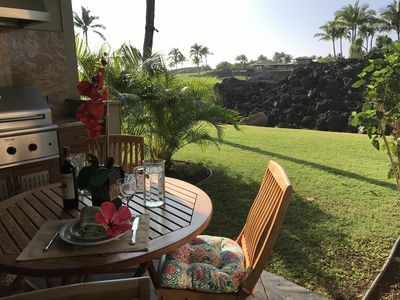 Dine at many award-winning restaurants on the grounds of the Mauna Lani Resort, including the two oceanfront restaurants, Napua Restaurant (our favorite at the Owner's Beach), as well as the Canoe House for that special night. You will not be disappointed. 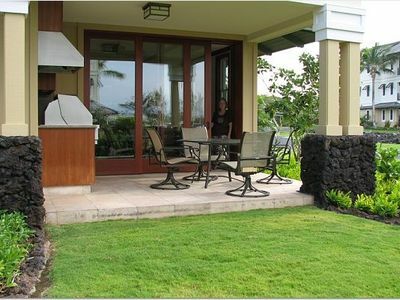 You will not find a better hawaiian vacation rental here on the Big Island Hawaii. 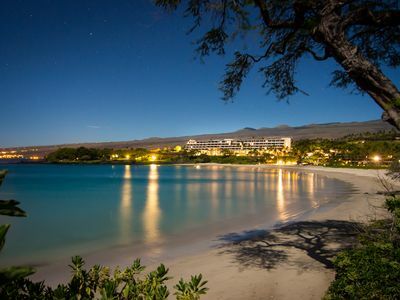 Mauna Lani Resort is the 3200 acre ancient playground of the Hawaiian royalty. 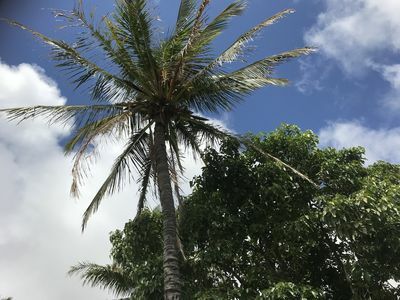 Absolutely magnificent grounds, with 15 acres of fish ponds, gorgeous beaches with beach club, 27 acres of historic park, walking trails, and abundant wildlife with magnificent birdwatching. 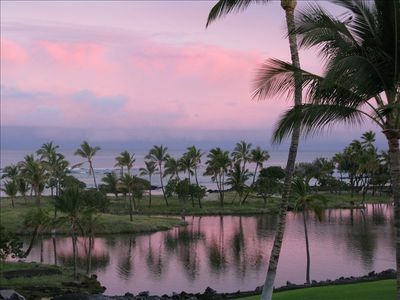 The Mauna Lani Resort is internationally known for its honu sea turtle program. 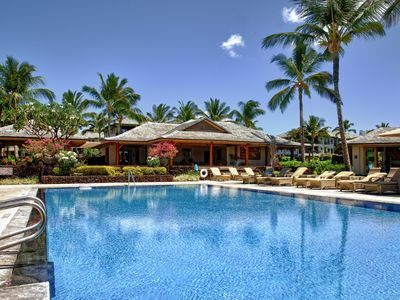 Snorkel till your heart's content among the many reefs immediately adjacent to the Mauna Lani Beach Club. If your schedule permits, make sure to attend the monthly Twilight Celebration of Hawaiian culture (on the beach Saturdays with the full moon). 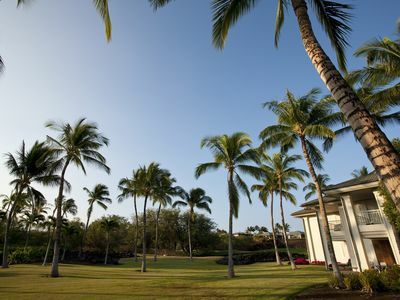 Golfing is abundant on the Kohala Coast, with two championship golf courses right on the grounds of Mauna Lani, the Francis H. I'i North Course and the South Course. The South Course is home to Number 15, one of the most-photographed over-the-water golf course holes in the world. 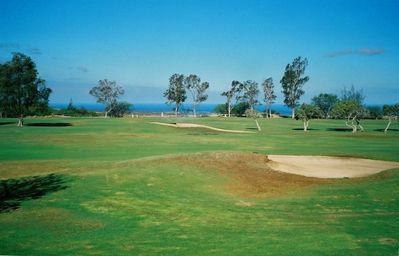 The adjacent Mauna Kea and Waikoloa Beach resorts also offer phenomenal world-class golf experiences. 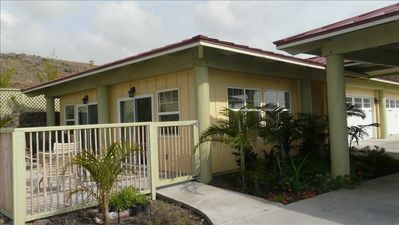 Kolea 15D--Updated 2/2 Spacious Lawn and Garden View! D4 - 2,100 Sq. 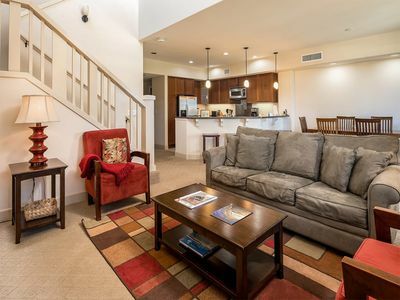 Ft. 2 Bedroom Condo D4 sleeps 6. No Cleaning Fees!